This is a rectangular Keen Kutter porcelain sign. 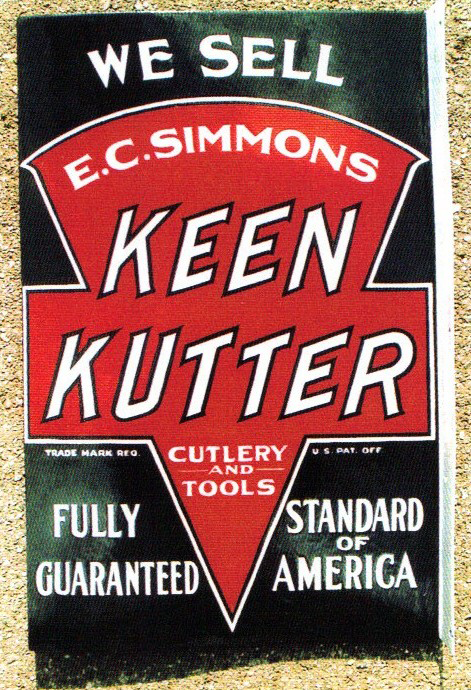 This particular Keen Kutter sign is predominantly black and red with white text. It reads, “We sell E.C. Simmons Keen Kutter, Cutlery and Tools, Fully Guaranteed, Standard of America, Trade Mark Reg., U.S. Pat. Off.” and features a red shape against a black background.